An unlicensed driver has been discovered driving pupils to and from a Northamptonshire school in a licensed private hire vehicle. The operator of the vehicle, Simon Winn of AGA Traveliners, Queens Road, Wilbarston, had a Northamptonshire County Council contract for taking pupils to and from Wrenn Spinney School in Kettering. On the afternoon of Wednesday, November 12, 2014, at Wrenn Spinney School, Westover Road, Kettering, officers from Northamptonshire County Council were checking the transport provided to take children home. They identified a vehicle licensed by Kettering Council but with a driver, Christopher Teesdale, of Mansefield Close, Desborough, who was not licensed. Because Teesdale was not licensed, the insurance policy for the vehicle did not have effect. 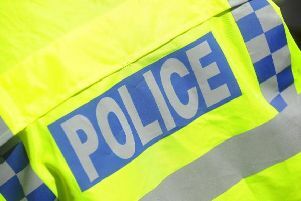 At Northampton Magistrates Court on April 28, the driver of the vehicle, Teesdale, and the operator, Winn, both pleaded guilty to offences relating to this incident. Teesdale was fined £200 for the offence of driving without insurance and imposed six penalty points on his driving licence in respect of the insurance offence. The court decided not to impose any further penalty in respect of the offence of driving a private hire vehicle without a licence. He was also ordered to pay £200 costs to Kettering Council and a £20 victim surcharge to the court. Winn was fined £150 for operating a Private Hire vehicle being driven by an unlicensed driver and £400 for the offence of permitting a vehicle to be driven without insurance. Six penalty points were also ordered to be endorsed on his driving licence in respect of the insurance offence. He was also ordered to pay £300 costs to Kettering Council and a £40 victim surcharge to the courts. Head of environmental health at Kettering Council Shirley Plenderleith said: “By putting Teesdale behind the wheel of one of his private hire vehicles, knowing that he did not hold a licence with this authority to drive such a vehicle, Winn was putting at risk the children that his company was contracted to provide transport for by Northamptonshire County Council. “All of our drivers must complete a number of checks to ensure that they are a fit and proper person to hold a licence to drive such a vehicle and a licence will not be issued until those checks are complete. “By using an unlicensed driver, Winn’s motor insurance policy was also not in effect removing that protection from his passengers and other road users.